Clothes made from nylon fabric have become an essential part of the modern day wardrobe. The list of its uses are quite varied and include women’s stockings, track pants, active wear, shorts, socks and wind breakers. However every fabric comes with its own set of characteristics and properties, not only at a physical level but at a spiritual level as well. When worn, the subtle spiritual vibrations that are predominant in the fabric will affect us at a spiritual level. If the material is Sattva predominant then it will help us at a spiritual level. If it is Tama predominant it will be to our detriment at a spiritual level. Negative effects at a spiritual level quite often have a flow-on effect at a psychological and physical level. For example one may experience a disturbed mind, a migraine or clouded thinking. In this article we explore the spiritual properties of nylon fabric and its effect on us. Nylon fabric is man-made and contains chemicals as a result of which its ability to attract and retain the Divine principle in them is restricted. This makes the clothes made from nylon fabric Raja-Tama predominant. Negative energies such as ghosts from the spiritual dimension are attracted towards anything that is Raja-Tama predominant. In fact the intensity of subtle-attacks by negative energies (ghosts, demons, devils etc.) on people using this kind of fabric is quite high. In this section, we share a drawing based on subtle-knowledge drawn by Ms. Yoya Vallee who has an advanced sixth sense of vision. By the grace of God and many years of regular spiritual practice, Yoya is able to see into the spiritual dimension, just as we see the physical dimension. By making drawings based on spiritual knowledge, Yoya shares with us her unique ability to see into the spiritual dimension. All of Yoya’s drawings based on subtle-knowledge are checked by H.H. Dr. Athavale before they are published. The accuracy of this drawing based on subtle-knowledge is 80% which is well above the average subtle or clairvoyant artist’s ability. The following is an explanation of the drawing based on subtle-knowledge along with what Yoya experienced. Nylon fabric is not sāttvik in nature. The texture of nylon fabric is not fine. Nylon fabric is made from synthetic fibres. Therefore, particles of subtle distressing energy are created in it and they are also preserved in an activated form around the fabric. Accordingly distressing energy in the environment is attracted to the fabric. 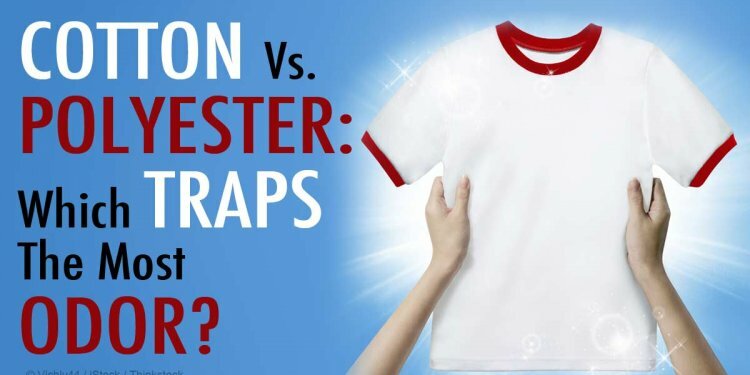 In addition to the particles of distressing energies, there are several types of negative vibrations in nylon fabric. They mix among themselves and become active with great speed and continue to remain in an activated form. As a result, the person wearing nylon fabric becomes restless and confused. When nylon fabric is chemically processed so as to give it various colours and a design is printed on it, the proportion of distressing energy in it increases by 1.5%. Yoya later recounted her feeling when taking a subtIe-reading of nylon fabric. Given the above, it is best that one stays away from wearing man-made fabrics such as nylon as much as possible. Materials such as cotton, silk and wool are natural and are therefore Sattva predominant. Regular spiritual practice such as chanting helps us to gain a protective spiritual covering that protects us from harmful elements in the spiritual dimension. Regular spiritual practice also helps us gain an inner understanding of what is sattvik and what is tāmasik. Once this understanding is gained, the transition to live a more sattvik life becomes easier as one intrinsically understands its importance.